Click HERE to bid and to view more pictures and closeups. 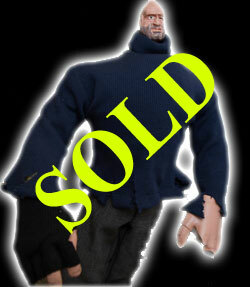 Description: Lot of four Stealth Six Shooter 1:1 Scale Replicas from the movie Puppet Master X: Axis Rising. Each replica stands approximately 22 inches tall and 5 inches wide and includes a white replica display stand and black cowboy hat (total of 4). Replicas are used and have been slightly damaged. See photo for more details on the extent of the damage to each replica. 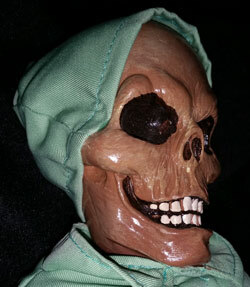 Description: Original prototype for the Dr. Death 1:1 scale replica from the Full Moon movie Retro Puppet Master starring Greg Sestero. Replica stands approximately 16" tall and 5" wide and includes a white replica display stand. One of a kind and in excellent condition. 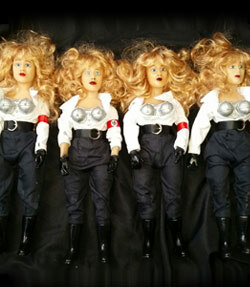 Description: Lot of four Bombshell 1:1 Scale Replicas from the movie Puppet Master X: Axis Rising. Each replica stands approximately 16" tall and 4" wide and includes a white replica display stand (total of 4). Replicas are used and have been slightly damaged. See photo for more details on the extent of the damage to each replica. 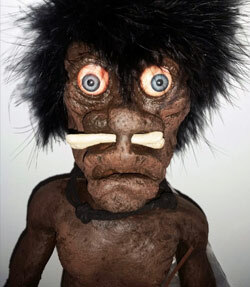 Description: Original prototype for the Ooga Booga 1:1 scale replica from the Full Moon movies Doll Graveyard, Evil Bong and the eponymous Ooga Booga starring Karen Black and Stacy Keach. Replica stands approximately 18" tall and 4" wide and includes a white replica display stand. One of a kind and in excellent condition. 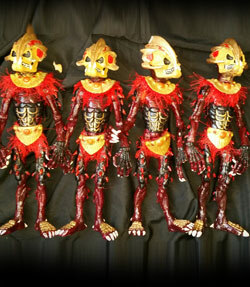 Description: Lot of four Totem 1:1 Scale Replicas from the movies Puppet Master 4 and 5. Each replica stands approximately 21" tall and 6" wide and includes a white replica display stand (total of 4). Replicas are used and have been slightly damaged. See photo for more details on the extent of the damage to each replica. Description: Original theatrical poster art for the 1987 Empire Pictures film Prison starring a young Viggo Mortensen and featuring early appearances by Tommy �Tiny� Lister and Kane Hodder. 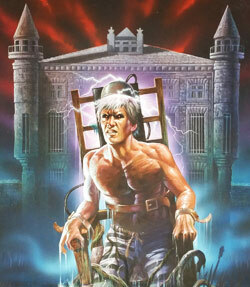 Artwork features Mortensen�s character Charlie Forsythe being executed in an electric chair in front of the film�s eponymous Creedmore Prison. This artwork did not end up being used as the final theatrical poster, but more explicitly illustrates the plot of the movie than the final art. Artwork is in good condition with some wear around the edges. 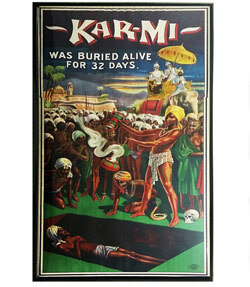 Description: Karmi, Buried Alive for 32 Days, 1914 3 sheet, National Litho, linen mounted and framed. 80.75" X 41" Colorful poster depicting Joseph B. Hallworth, who posed on stage as an Indian fakir, Karmi. Description: Original concept art for 1989 film �Intruder.� This film is notorious amongst slasher fans due to many familiar faces among the cast and crew, such as Lawrence Bender, Sam Raimi, Ted Raimi, and Bruce Campbell. This piece of art work is a must-have for any fan of classic stalk n� slash films! It is in good condition, with some wear and tear around the bottom. 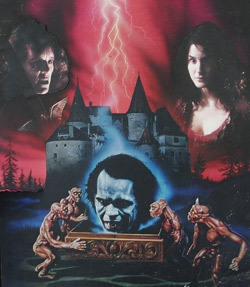 Description: Original key art for the modern vampire horror classic, Subspecies 4: Bloodstorm. This piece of artwork was created as pre-visualization of the final film, and was made for the director to approve the look. The characters of Radu, Michelle, and Ash are all featured prominently on the art. Although this artwork did not end up being used for the movie�s final cover art, this is a perfect chance for all you vampire lovers to add a limited, never-before-seen piece to your horror collection! 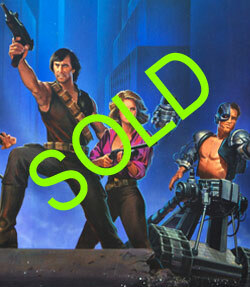 Description: Original painting for the cover art of the 1985 VHS release of Savage Island, illustrated by Lawrence M.Salk. Now available under Full Moon�s Grindhouse Collection, Savage Islands' Linda Blair (The Exorcist, Scream, Hell Night) takes on the cover as a babe with a mission. A must have for any fan of classics grindhouse and exploitation films! Painting is in good condition with some wear and water marks around the edges. Click HERE to view more pictures and closeups. 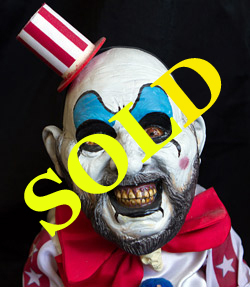 Description: Original prototype doll of the character Captain Spaulding played by Sid Haig in the movies House of 1000 Corpses and The Devil�s Rejects, both directed by Rob Zombie. This doll was created by master puppet maker Terry Cruikshank and there will never be any more produced because he unfortunately passed away last year. 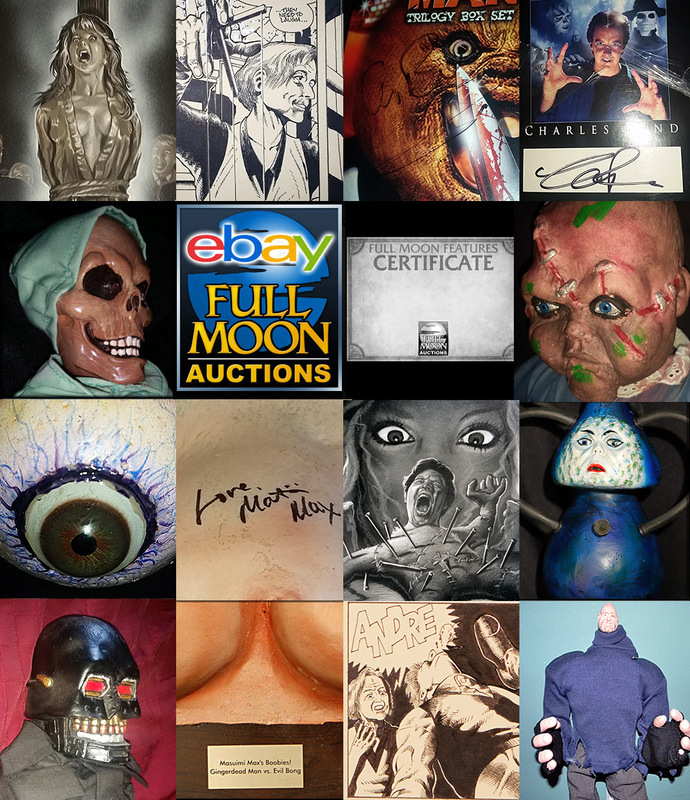 Full Moon Features CEO Charles Band bought this doll from Terry Cruikshank five years ago and was so impressed with it that he commissioned Terry to create the new line of official 1:1 scale Puppet Master replicas that Full Moon sells in its online store. This unique item is the perfect addition to any horror collection! 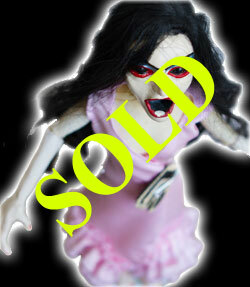 Doll is in excellent condition with the exception of a broken left foot that can be glued back in place. Please bid in increments of $50 dollars. 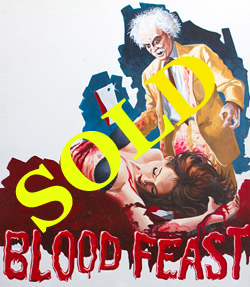 Description: Original painting for the cover art of the 1982 VHS release of Blood Feast, distributed by Charles Band�s early home video label Cult Video. Released in 1963, Blood Feast is notorious for being the first �splatter film� and went on to solidify director Herschell Gordon Lewis as a cult icon. A must-have for any fan of classic grindhouse and exploitation films! Painting is in good condition with some wear and marks around the edges. 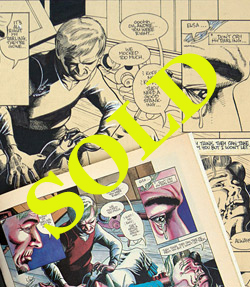 Description: If you have ever wanted to own a piece of comic book history, now is your chance! 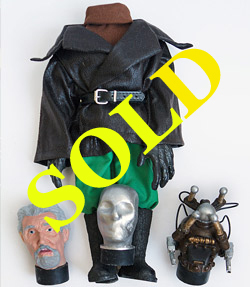 Featuring stunning, uncolored art from the original Eternity Comics Puppet Master comic book series, this is sure to be the centerpiece of any art collection! Page #12 From issue #1. Circa 1990. Please bid in increments of $20 dollars. 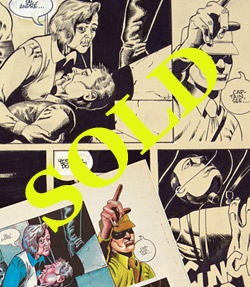 Description: If you have ever wanted to own a piece of comic book history, now is your chance! Featuring stunning, uncolored art from the original Eternity Comics Puppet Master comic book series, this is sure to be the centerpiece of any art collection! Page #14 From issue #1. Circa 1990. Description: This 1:1 scale replica of the character Decapitron from the movies Puppet Master 4 & 5. 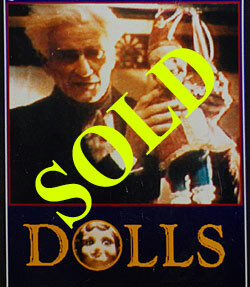 This replica is out-of-print with no plans to produce any more, created by master puppet maker Terry Cruikshank! Replica comes with three interchangeable heads. Excellent condition. Please bid in increments of $25 dollars. 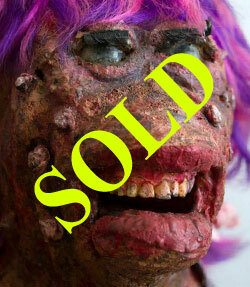 Description: Gingerdead Man replica autographed by the Gingerdead Man himself Gary Busey! 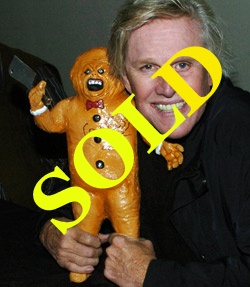 An extremely small number of these replicas were signed by Gary Busey at the Full Moon Horror launch party held in 2011 at Meltdown Comics in West Hollywood, CA. 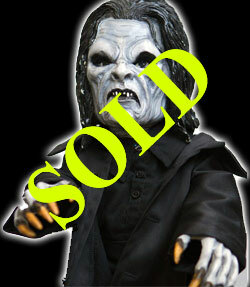 The replica itself was a limited edition item created by longtime Full Moon special effects artist Tom Devlin (Puppet Master X, Killjoy Goes To Hell) and has since gone out of print. An absolute must-own for any fan of the Gingerdead Man movies! 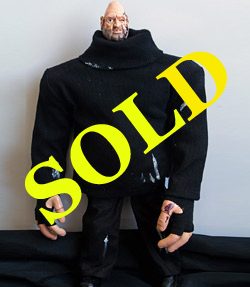 Description: Prototype stunt puppet for the character Stealth Pinhead used in the Full Moon movie Puppet Master X: Axis Rising (2012) directed by Full Moon Features founder and CEO Charles Band. 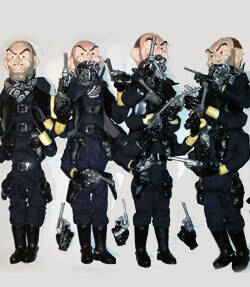 Several different puppets were created for each character in the movie; this puppet was a stunt puppet that was only used for the film�s action sequences. Puppet is in good condition with several noticeable stains, marks, and other signs of use on its clothing. Description: The vampire lord Radu from Subspecies comes to life in this extremely limited edition doll created by master puppet maker Terry Cruikshank! A very small quantity of these dolls was produced and there will never be any more because Terry Cruikshank unfortunately passed away last year. The Radu doll will truly be a unique addition to the colleciton of any vampire fan! Description: Amazing original painting for the Empire Pictures movie Eliminators starring Andrew Prine (Gettysburg) and Denise Crosby (Star Trek: The Next Generation). This art was used in foreign pre-sale advertisements. It features the main cast of characters in an action-packed pose. Circa 1986. Description: Add some evil to your wall with this amazing piece of concept art from Demonic Toys starring Tracy Scoggins (Babylon 5) and written by David S. Goyer (Batman Begins, Man of Steel)! This original piece of art was not actually used as the final theatrical poster, but it shows a very early design for the film�s memorable villain Baby Oopsie Daisy. 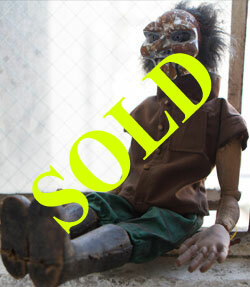 No killer toy enthusiast should miss out on the chance to own this piece of Full Moon history! Circa 1991. Description: Part of the limited edition line of Puppet Master �Battle Damaged� replicas, this out-of-print Pinhead replica is ready to find its place in your collection! 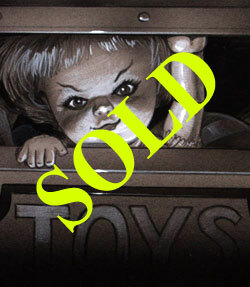 It�s just perfect for horror collectors who missed the chance to get one before they sold out. The replica stands roughly 15� tall and is made with hand-stitched clothing. Other than a few broken fingers, Pinhead is in excellent shape. Description: Here�s your chance to get another out-of-print Puppet Master replica: the deadly Leech Woman! 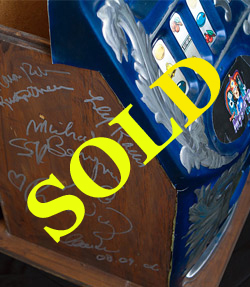 Sold out for several years, this replica is still in great condition. She stands at 16� tall and features a real cloth dress. Description: Original concept comp for the influential horror classic Dolls starring Ian Patrick Williams (Re-Animator) and Guy Rolfe (Puppet Master III). This comp was one of several pieces of art commissioned to potentially become the film�s final painted poster art. 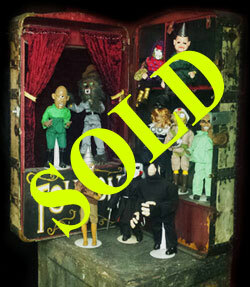 Although it was not ultimately used, it�s still a rare and fascinating artifact to add to your horror collection! Circa 1985.